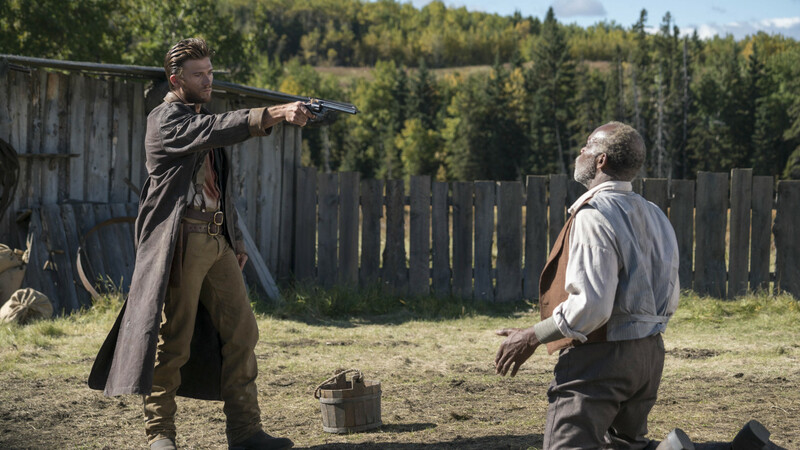 I love westerns, but by 2016, it can be genuinely hard to bring something new to the genre. To any genre really. It’s tough. So what do you say about 2015’s Diablo? It’s a western with some potential to be pretty decent…but it just ISN’T. It’s not very good, but there is a twist. A good twist. What’s your take though? Is that twist enough to save an otherwise mediocre-to-bad movie? 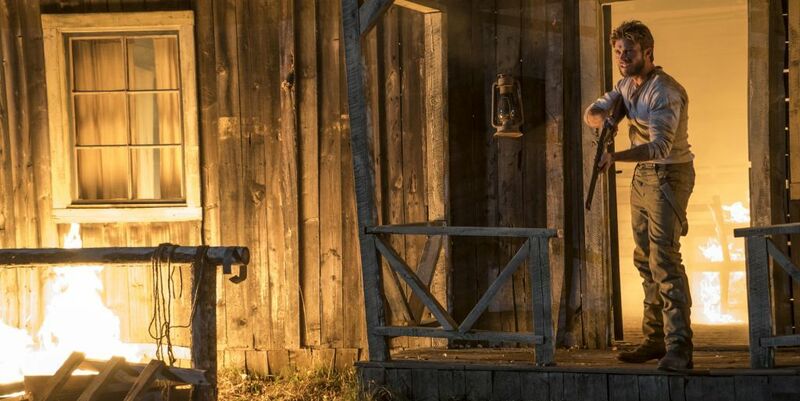 It’s 1872 in the Colorado Territory and a young rancher, Jackson (Scott Eastwood), is woken in the dead of night. His home, his barn, his corrals are on fire, and he sees three men riding away to the south with his wife. He rides out in the morning having to make up time and miles on the trail, all with the hope of getting his wife back and exacting revenge on the men who kidnapped her. Nothing will come easy though in the pursuit as Jackson meets all sorts of obstacles though. His biggest obstacle? That could be himself as his violent past threatens to tear him apart before he can catch up and save his wife. Can he somehow do it? As of this western review, I check the count and see that I’ve written 245 western reviews since I’ve begun writing movie reviews. I’ve been in a good place lately, watching and re-watching westerns as quick as I could. So while this western from director/writer Lawrence Roeck didn’t get a theatrical release (that I’m aware of), I had to give it a shot. The verdict is pretty straightforward. Though there’s potential, it simply isn’t very good. I’ll give westerns the benefit of the doubt for the most part but this one has too many holes. What’s most disappointing is that Roeck and his crew are clearly fans of the genre. Filmed in Alberta, Canada, “Diablo” is a beautiful-looking film. This isn’t the sun-drenched desert vistas you might expect in a western. This is the snow-capped mountains, the frigid air, the bundled-up cowboys so that’s pretty cool – an interesting change of pace. The shots of Eastwood’s Jackson riding through the mountains, across a snowy ridge, cutting across the horizon, they’re gorgeous…at first. The movie’s only 82 minutes long, and I’m betting 30 minutes are simply establishing shots of a rider riding. Helicopter shots, overhead shots, from the side, from the other side, from behind, straight-on….oh my goodness. It’s repetitive and repetitive and repetitive. The same for the musical score. It’s appropriate but it tries to be too big and epic-based, when the story just doesn’t call for it. 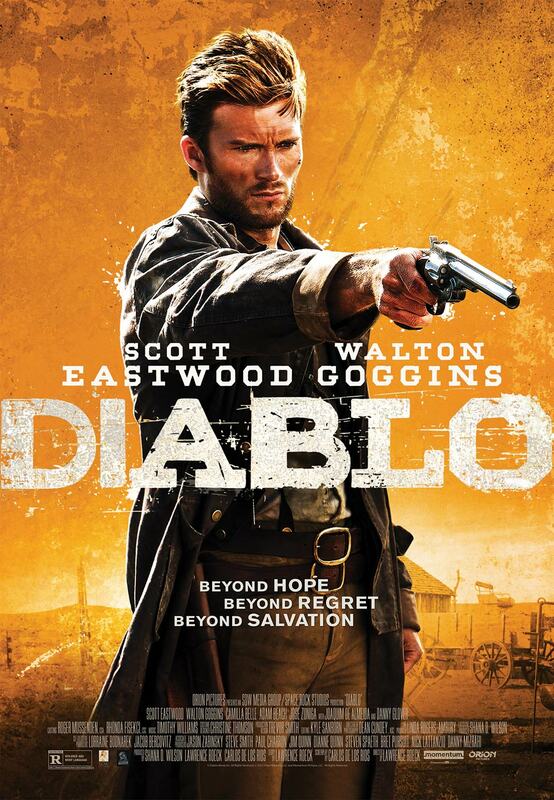 “Diablo” knows and respects the western genre but can’t quite get there. Then there’s the twist. Looking back on it and the build-up, there are hints as to what’s coming. I didn’t pick up on them at the time. Either they’re too subtle or I just take the western at face value too much (See it and you’ll understand my issue; read ‘dumbness.’) Reading some message boards, some other critics’ reviews, the twist is pretty divisive; love it or hate it. For me, it took me by surprise completely. I didn’t see it coming. I thought it worked…but it is underutilized. No spoilers, but the reveal comes at the hour-mark after a painfully slow first hour. Then when we should be reveling in the reveal, the movie ends 15 minutes later. The credits roll at the 77-minute mark. We waste so much time getting to that point that it feels completely — no check that, COMPLETELY – wasted. I’ll give credit where it’s due, and the final scene ends on a creepy shocker, but again, it is almost all potential. The son of the legendary Clint Eastwood (still the coolest), Scott Eastwood has been working in film and television since 2006 and he seems to be taking off a bit in the star department. He’s still developing though as an actor and struggles at times when he doesn’t get any help from the script. Eastwood does show his skill though, but in a short movie with so many moving pieces, he kinda gets lost in the shuffle. Who else to look for? Some cool names, some recognizable faces including like Walton Goggins, Danny Glover, Tzi Ma, Camilla Belle, Jose Zuniga, Adam Beach and Joaquim de Almeida as some folks who pop up along the trail. Most aren’t around for more than a scene or two, but it is cool to see them in a western story. Just wish the source material was a little stronger. Too bad in the end. With some tweaks here and a fleshed-out story there, we’re talking a pretty decent little flick. There’s just too many holes here. “Diablo” is a short movie that’s almost unbearably slow, the dialogue is some of the most stilted I’ve ever heard, and a potentially really cool twist never gets a chance to take off. I’ll ever so slightly recommend it for the gimmick, for that twist, but other than that, probably only for die-hard western fans.